The Chip Shield Payment Manager is a browser extension that allows your Chip Shield Reader to interact directly with any online merchant and simplify checkout. The Payment Manager eliminates manual data entry and transfers payment and shipping information directly into the merchant site. If your bank or the merchant site support enhanced security such as Single-Use CVV or Direct to Gateway Encryption, the assistant will automatically adapt to the highest security available. The Chip Shield Browser Assistant is opened automatically when a card is inserted into the Chip Shield Reader, but can also be launched by clicking the Chip Shield Icon. We currently only support the Chrome desktop browser but support for other browsers will be coming soon. 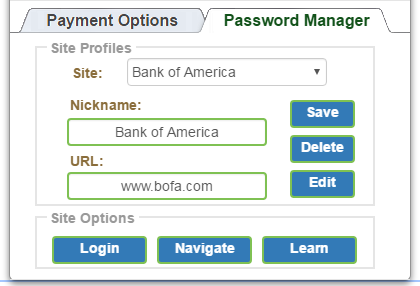 The Assistant automatically detects the active web site and shows the site’s profile and features in the Site Information Panel. 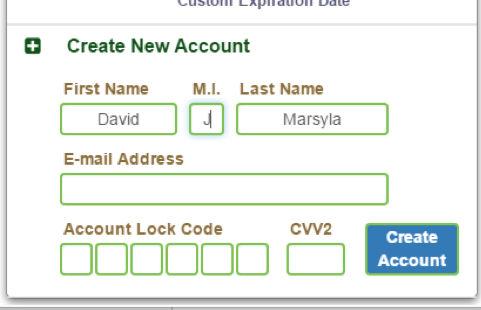 Encrypted field injection and form auto-fill is supported with virtually every merchant site. If the site supports enhanced security such as Client-Side Encryption or Direct to Gateway Encryption we will adapt to the highest security available. Whenever a card is inserted into the Chip Shield Reader, the card details appear in the Card Information Panel. This is the active card that will be used for payments. You can also use this panel to enter the 3 or 4 digit CVV number on the back of the card that is required by most online sites. The CVV number can be saved in your Chip Shield Reader so you don’t have to enter it for every payment. Your card information is never stored in the reader. If your bank supports Single-Use CVV codes, the feature will appear in the panel and we will request a CVV code each time your card is inserted in the reader. When a card is inserted for the first time, you’ll be asked to create a new account to store your billing and shipping profiles. Once those profiles are created, they can only be accessed when your card is inserted into the Chip Shield Reader. 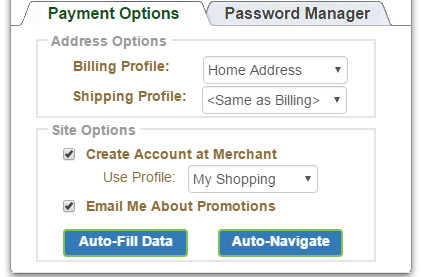 For online merchant sites, the payment panel is available to let you select your preferred billing, shipping and account profile, and also lets you inject data into the site or navigate automatically between forms during check-out. For sites where you have an existing online account, Chip Shield can be “trained” to identify the login and password fields of the site and will store your login/password combination along with your other account data. Once saved, you can automatically navigate back to the site and log in. Your password information is protected so that it can only be accessed when your chip card is inserted into the Reader. For financial sites that have integrated Chip Shield’s authentication library, the Authentication Panel will appear when the site requests verification from your chip card. This is done to protect your financial transactions such as fund transfers so they can only be performed when you insert your card into the Chip Shield Reader. This type of authentication can protect your account funds even if your account password has been compromised.